This review is purely written subjectively. Here you will find no photographs of walls, stuffed animals, or ISO charts. I will not hit every feature of the camera, there are plenty of other sites dedicated to technical reviews. By writing this, I hope to answer any questions or concerns regarding using the Canon Rebel SL1 in the field that you might have. Why did I purchase the Canon SL1? I currently own a Canon 5D, a Canon 5D Mark II, a Canon 50D, and a Canon G10. Because of it’s full frame high megapixel sensor, I currently use my 5D Mark II as my scenic landscape and close-up nature camera. Because of its frames per second and crop, I utilize the 50D for my wildlife photography. The G10 is my walk-around and movie capture camera. The SL1 is a crop sensor with 18 megapixels so the photo quality will not best the Mark II. The fps and buffer is worse than the 50D so my potential of missing a great wildlife shot is higher. It’s bigger than the G10, not really by much, unless you’ve got a big lens on it. So, where does the Canon Rebel SL1 fit? Simple, I needed something with a decently high resolution, something with what I could capture images with high enough quality that I could sell, but at the same time as small and light as possible. For sometime, I’ve been looking for a camera that I could grab at moments notice, in an unassuming kit to grab some images. When I go to the College World Series, for instance, those cameras stand out way too much, and are big to lug around. When I hike in the backcountry of Colorado for days on end, losing weight in the pack is essential and I hate leaving the wrong lens behind. The SL1 is the perfect balance of weight and picture quality. How is the capture experience? 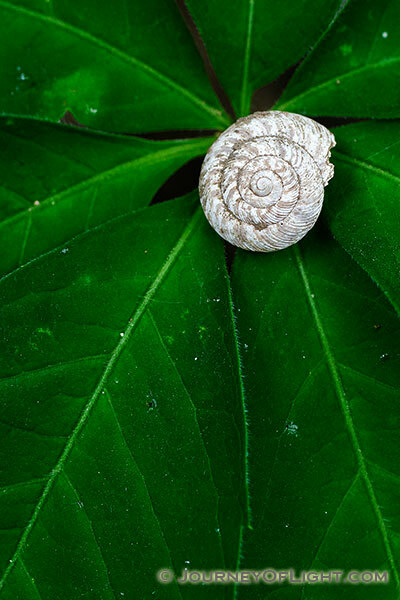 Once I received my SL1, I decided to take it out and photograph subjects that I would have normally captured, nature and wildlife images. I loaded it up with my 50 mm macro lens and my 500 f/4 and headed out to Schramm State Recreation Area to see how it would perform. During this time of the year at Schramm, the flowers are blooming and goslings are waddling around the ponds. 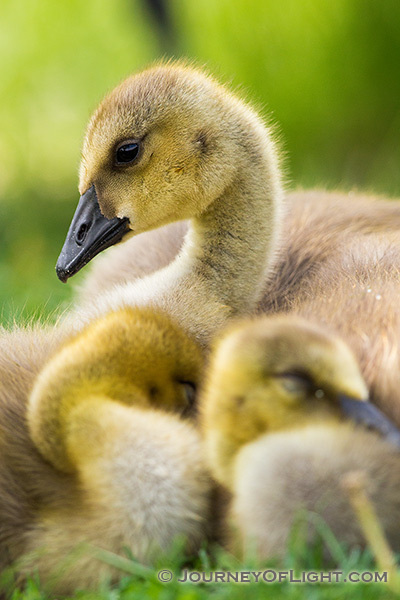 For most shots you can get close enough to the goslings without bothering the parents with just a 300mm. On this day I went all out with my 500 f4/l and walked around without a tripod or monopod. At first it was different getting used to having the only a little more than weight of the lens, but I found the reduction surprisingly nice. With less weight I felt I was able to move around easier to get low and get some shots of them. In this case I hit the limit of 4 fps quickly, but the buffer emptied in enough time to not cause me too much pain. 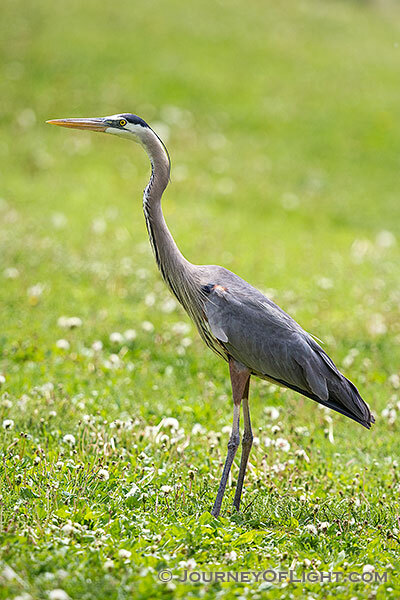 After working with my fuzzy, young subjects for a while, I saw a heron had come to visit the ponds. Quietly, I moved a bit closer. This made him a bit nervous and he would take off and fly to the other side of the ponds. When he took off, I tried multiple times to capture him in flight. Here, one limitation of the camera affected my ability to get a good flight shot – the viewfinder size. The SL1′s viewfinder is small, especially in comparison to a 5D Mark II and it makes tracking moving subjects more difficult. I’m sure it’s something I can adjust to a degree, but it is a disadvantage. I also reached the buffer on the shots and it just would not empty fast enough. Of course, this isn’t a 1D Mark X or even a 50D so I didn’t expect that, but I still wanted to see how it would handle this real-world situation. 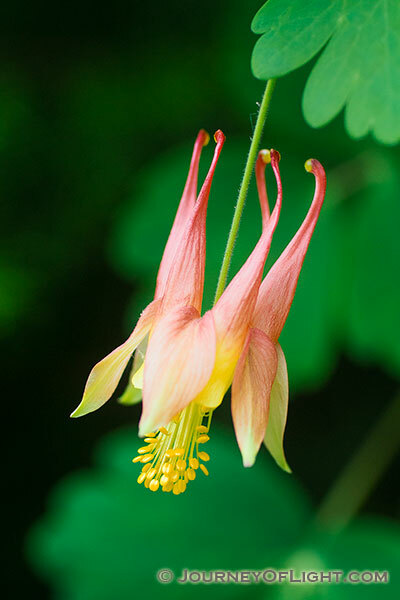 Lastly, I moved on to the blooming flowers, bleeding hearts and columbine. 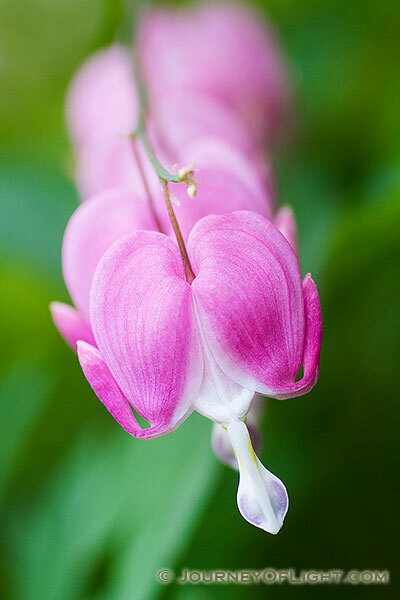 For these images, I mated Canon’s newest camera to Canon’s oldest EF lens, the 50 CM. The autofocus on the 50 CM isn’t the best, scratch that, it’s terrible, but on the SL1 it seemed to perform well on the static subjects, almost better than on my 50D. Of course, everything hangs on the picture quality. On these images, I didn’t really push the ISO and I didn’t really test the dynamic range, but from my experience the picture quality on these images was top notch. I was impressed by the sharpness and color fidelity. I had always hoped that my G10 would be my compact image capture device, but I never felt the quality was there, especially above ISO 200. On the Rebel SL1 I used ISO 200 to 800 and could barely tell a difference. I did not test the JPG as I never use JPGs and am a firm believer that once the basics of photography are mastered that is the first thing that should change in a workflow. How was the movie capture? One of my defined primary uses of the SL1 was to capture HD movies, mainly home movies. The G10 was solely standard definition and although I could get movies with the 5D Mark II, I found that it was a bit bulky to carry to my daughters’ events. The SL1 fits nicely into a small bag and allows me to get the quality video I want without going gear overboard. I am mainly a stills guy, but I feel like the quality of video is high and has a lot of potential. Filmmakers will be a little more discerning in this area, but it was a big step up for me from my G10 for sure. The downsides I ran into when using the SL1 are the buffer, which I expected, the small viewfinder, the lack of AF micro adjustment, and the lack of ISO choices. I’ve heard you don’t need the AF micro adjustment when using contrast AF, which is fine, except when photographing moving subjects, then it’s too slow and traditional AF is what you need making this a negative for me. Also, although I don’t use the incremental ISOs much I sometimes choose them when I need just a little more speed without going to the next full ISO. Since I’ve only used Canon cameras that had a quickdial, the interface on the Rebel SL1 was a little different for me. Once I realized the capability of the SL1′s touchscreen, I was sold. To be honest, when I first read about it, I thought it was a novelty and wouldn’t really change how I use the camera, but I was wrong. I loved being able to quickly choose my settings or pinch-zoom my photographs to quickly check for sharpness. So much so that I would look for the feature on any new camera I purchase. Lastly, I like the range I can compensate for exposure. On my previous cameras, I could only go down or up 2 stops, on this camera I can move 5 stops in any direction, although bracketing is still limited to 2 stops. Do I recommend the camera? If you’re a novice, this camera has everything you would need and more from. If you are a professional looking for the lightest weight camera with the highest quality image files, this is the camera for you. The SL1 will not replace my other cameras, it is only meant to compliment them when I need a small, light kit. 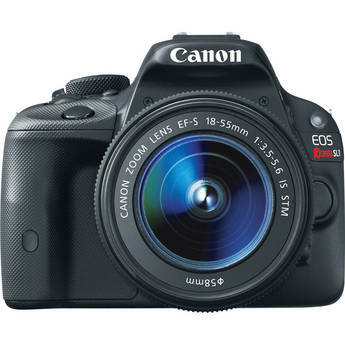 Using this camera is a joy and I look forward to seeing what can be done with the Canon Rebel SL1. Several years ago, even before we moved to Moab, I discovered a little side canyon while exploring one of the many four-wheel drive roads in the area. As I do with all locations I stumble across that have photographic potential I made a mental note and went on my way. A few weeks ago I returned to the canyon to determine if it still held the potential I remembered from my first visit. While there I couldn’t help but imagine a torrent of water pouring over the cliff and landing in the pool in a great swirl of mist. I knew it would only take one good thunderstorm to produce the flash flood that would make it all happen. This being monsoon season in the desert, I didn’t have to wait long for rain to fall. On Friday my family and I decided to visit the canyon to see if the recent bout of precipitation was enough to kick start the waterfall. We arrived in a light sprinkle and I was disappointed to find a dryfall where I’d expected to see the falls. We stuck around for a while, I threw rocks in the pool with my son and we left to drive down the road to the creek. Less than ten minutes later we returned to the little canyon. As we approached I heard the distinctive roar of a powerful waterfall emanating from the canyon. At the wash I caught my first glimpse of the red, muddy water quickly filling the pool and then rushing toward us – a formidable creek appearing where seconds earlier there had been a dry wash. I whipped out my iPhone 4S and recorded about 30 seconds of video as the water approached and then passed directly under our vehicle. I parked on the other side of the knee deep creek and started scouting for a way to get back to the waterfall that didn’t involve crossing the flooded wash. There wasn’t one. I decided that if I wanted an opportunity to make the photos I’d visualized I would have to cross the wash not once, but twice. The water wasn’t deep and the wash was wide enough that the flow wasn’t dangerously swift. I crossed with ease and walked up stream to the second crossing. This one was narrower, which meant the water was deeper and with a stronger current. I entered the stream and found myself knee deep at the mid-point. At the other side I was excited to discover that I had a splendid view of the waterfall! I set up my tripod and went to work making images for half an hour from beside and in the middle of the flooded wash. Though I certainly don’t advocate standing in the middle of a flooded wash, the lesson here is simple: Keep an open mind and think creatively when you’re out exploring. You never know what photographic wonders you might discover! If you’re interested in watching a 30 second clip of the waterfall and resultant floodwater here’s a link to it on YouTube. It’s just a handheld video on my iPhone 4s with no editing but still it depicts some interesting weather phenomenon. Equipment Used: Canon 5D MKII, Canon 24-105mm lens, Induro CT213 tripod, Acratech GP ballhead, Singh-Ray Ultrathin Circular Polarizer, Adobe Lightroom 4, Nik Software Viveza 2 and Color Efex Pro 4.